The disciplinary actions initiated by BCI of late have given the impression that it is selective and partisan in the battles it wants to wage. The Bar Council of India, which ceased to be truly representative long ago because of the failure to hold due elections in time, recently surprised many with a resolution. The resolution, stated to have been taken on March 18, but announced to the world on March 31 in a press conference held by the Chairman of the ad-hoc Council Senior Advocate Manan Kumar Mishra, states that legislators who participate in removal process of a judge of a High Court or Supreme Court should not be allowed to practice before that Court/Judge. 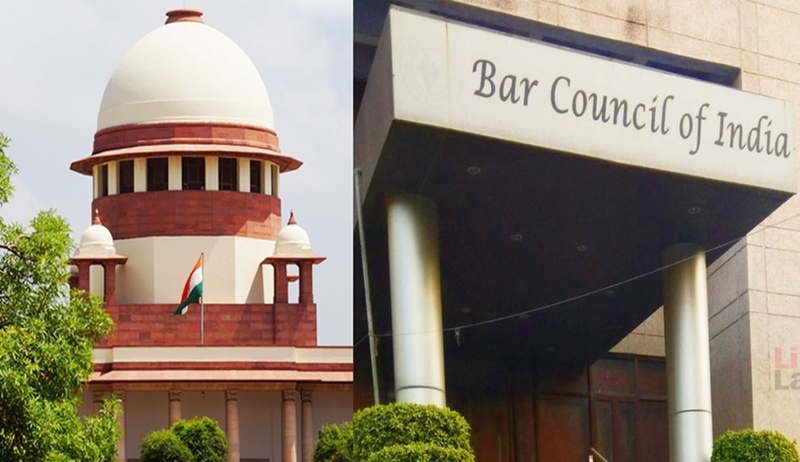 The exact wording of the operative portion of the resolution is “the majority view of the Bar Council of India is that once process of removal of a Judge of a High Court or Supreme Court, the advocates who are MPs should not be allowed to appear before that Court/Judge”. As is evident, there is something semantically incorrect and incomplete about resolution, which indicates that the BCI must have made some glaring omissions while taking the resolution. Perhaps, the omissions are indicative of the cavalier manner in which BCI takes important decisions. The resolution is to be analyzed in the backdrop of the move of some MPs to pilot an impeachment motion against the present CJI Justice Dipak Misra. On March 27, news regarding the impeachment motion floated by Indian National Congress appeared. Senior lawyers Kapil Sibal, A.M Singhvi ,Vivek Tankha and K.T.S Tulsi are also MPs of Congress party in the parliament. The resolution will affect the practice of these lawyers if they choose to support the proposed impeachment motion. Therefore, this resolution in effect operates as a deterrent on these lawyers to associate with the impeachment proceedings. It is curious why the resolution, which is stated to have been taken on March 18, was announced on March 31, only after the news of impeachment motion came. The BCI states that the resolution is taken while considering the plea of Ashwini Upadhyaya that legislators should be barred from practicing law. He has filed a petition in the SC contending that permitting lawyers to become legislators will lead to the conflict of interest. The BCI formed a sub-committee to examine the issue. The sub-committee expressed the opinion that legislators cannot be barred from practicing law, with a lone dissent. The sub-committee also recommended that BCI may consider the raming of rules barring advocates who are also MPs from appearing before Judge/Court against whom the motion for removal under the Judges(Inquiry) Act has been admitted either by the Speaker of the Lok Sabha or Chairman of Rajya Sabha. The BCI resolution states that ‘the Council accepts the report submitted by the committee except the part relating to removal proceedings of judges before parliament’(emphasis supplied). Now, this is a very confusing statement. This conveys that the BCI is adopting the position that legislators should not be barred from practicing law. However, what is meant by the qualification in the acceptance made in the statement ‘except the part relating to removal proceedings of judges before parliament’? If the BCI is not accepting the sub-committee recommendation regarding the part relating to removal proceedings of judges, why has it chosen to resolve in this manner? The resolution fails in intelligibly conveying the reason for its intention to restrain lawyers who are MPs from appearing before judges who are facing impeachment proceedings in parliament. So long as the BCI is agreeable to the major premise of lawyers being legislators, it is not possible to locate any rational basis for its objection regarding lawyer-legislators appearing before judges who are facing impeachment proceedings. Either it should resolve to bar legislators from being lawyers’ altogether, or should state that such barring of law practice is not possible. When the BCI permits lawyers from being legislators, it cannot selectively state that lawyers should not appear in courts in which judges are facing impeachment proceedings. So long as a lawyer remains in the rolls of the Council, she is entitled to practice in all courts all over the country by virtue of Section 30 of Advocates Act 1961. The BCI cannot impose fetters on the statutory right to appear so long as the lawyer remains on rolls. That would amount to interference with the professional autonomy of a lawyer. The statutory right of an advocate under Section 30 cannot be undermined through such a strangely and confusingly worded resolution, which does not speak of the reasons. How can BCI curb parliamentary privileges? Participating in a parliamentary process is the duty of a representative occupying seat in the house. Impeachment is a parliamentary process, carried out in accordance with Constitutional provisions. A legislator has to be given full freedom to take an uninfluenced decision in the process. A legislator should not be presented with an ‘either-or’ situation while participating in the impeachment process. The resolution tends to deter legislators from freely exercising their parliamentary privileges, due to the threat of curbs on their professional freedom as lawyers. Now, if the BCI has an issue with practising lawyers occupying the office of legislators, let that be dealt in its entirety. When BCI skirts that issue, it cannot control the manner in which legislators, who also happen to be lawyers, exercise their parliamentary privileges. This is a clear instance of BCI overstepping its jurisdictional domain, by taking a resolution in a manner which has the effect of curbing the parliamentary privileges of legislators, who also happen to be lawyers. Resolution in excess of powers under Advocates Act. The BCI is a creature of the Advocates Act 1961. Therefore, it has to act within the confines of the statute which created it. The Act does not give any powers to the BCI to place fetters on the right to practise of advocates who are not found liable to be removed from rolls. So long as a person continues to be an advocate, it is absolutely within her powers and discretion to decide upon the courts and tribunals in which she can appear. If the BCI feels that a lawyer-legislator appearing before a judge facing impeachment proceedings can create the conflict of interest, it is not for the BCI to decide upon the propriety of the issue. It is for the concerned judge to make a decision of recusal. As per long standing conventions of legal practise, it is the judge who decides whether to recuse from hearing a case in the event of possible doubt of bias. Recusal is an absolute judicial prerogative. That is a matter which is left to the individual conscience of the judge. The BCI cannot act on a surmise that there will be a conflict of interest if lawyer-legislators make an appearance before judge facing impeachment motion. There is no tradition of a lawyers’ body deciding as to which all lawyers should desist from appearing in a case. Throughout the resolution, the wording used is ‘Court/judge’. Is the BCI intending to state that a lawyer-legislator should not appear in a Court wholly, when a judge of that Court is facing impeachment motion? That would mean that lawyers like Kapil Sibal, A.M Singhvi, Vivek Tankha, K T S Tulsi etc should stop their practise in Supreme Court completely, if the impeachment motion against CJI Misra gets admitted in the Parliament. The confusing use of strokes in the wordings ‘Court/judge’ has created a sweeping ban on the right to practise of lawyers. If only the BCI had shown more application of mind while drafting the resolution! Is that too much to expect from an apex body of lawyers? The disciplinary actions initiated by BCI of late have given the impression that it is selective and partisan in the battles it wants to wage. During October 2017, the BCI had issued a show cause notice to Dushyant Dave, Senior Advocate, for his open criticism that the SC collegium had succumbed to executive pressure while arriving at the decision to transfer Justice Jayant Patel, Judge of High Court of Karnataka. The show-cause notice and the following press release by the BCI were bizarrely worded, as the present resolution, belying a knee-jerk response in a manner not behoving well for a body claiming to be representing advocates. It is important to remember that the BCI does not have any power to initiate disciplinary proceedings.The authority to initiate disciplinary proceeding is the Disciplinary Committee of the concerned State Bar Council and not the BCI. Again, during January 2018, the BCI issued another notice to Dushyant Dave, for his comments in the court during the hearing of a case relating to the death of Judge Loya. During the hearing, Dave had raised issues of conflict of interest and impropriety by senior lawyers Harish Salve and Pallav Sisodia. Dave had contended that these lawyers should not be permitted to appear in the Judge Loya case as they had represented adversarial interests in previous and related proceedings. Justice Chandrachud, a member of the bench hearing the matter, remarked that it was a matter of conscience of the particular lawyer to decide upon the issue of impropriety. The BCI, however, resolved to initiate proceedings against Dave on the ground that his comments amounted to misconduct. However, the proceedings against Dave were later stayed by the High Court of Delhi. It is rather surprising that the BCI did not find it necessary to examine the issue of impropriety raised by Dave. Instead, it chose to attempt to shoot the messenger, so as to bury uncomfortable questions. The selective approach of the BCI is evident in the present resolution as well. Why should lawyers be proceeded against for raising issues against the bench? It is for the Parliament to decide whether there is any merit in the impeachment motion. It is not easy for an impeachment motion to pass the muster, as the level of scrutiny is very high. Before such a decision is taken, why should the BCI come up with such a resolution, which can act as a pressure on the lawyers to withdraw from the impeachment motion? Yet another important fact to be borne in mind is that the present Council is akin to a ‘caretaker government’. The term of the present Council had expired long ago, and it is continuing in office only on default to hold timely elections. Now that the elections to the State Bar Councils have been conducted as per directives of the Supreme Court, the role of the present Council is that of a mere ‘care-taker’. So, in the interests of propriety, it ought to refrain from taking crucial policy decisions, since it is not at present a representative body in the true sense of the word. But, the present Council seems to be oblivious of all such norms of propriety, and is waging selective battles by exceeding its mandate and powers. Such instances make one wonder whether the BCI is acting to undermine its objective to safeguard the rights, privileges and interests of advocates.